We have updated our Season Change collection with bolder typestyle. 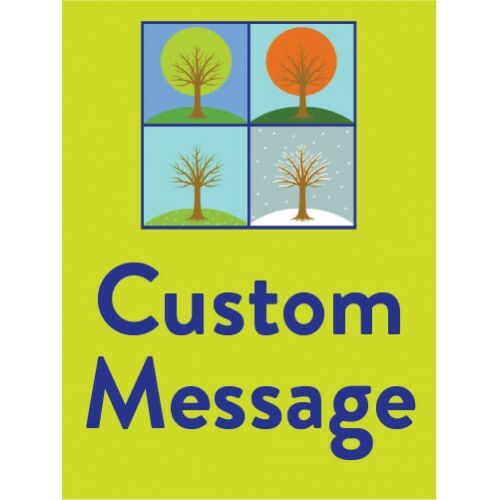 A lovely graphic of seasonal trees anchors your special message on a bright lime colored background. 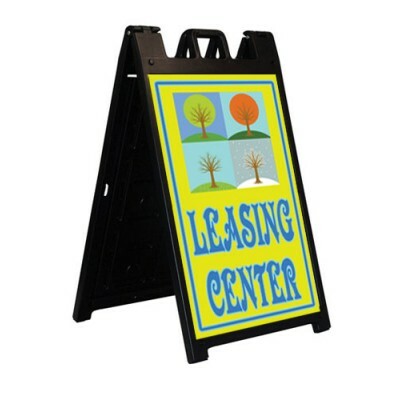 We have created matching bootleg signs and boulevard banner to complete the collection. 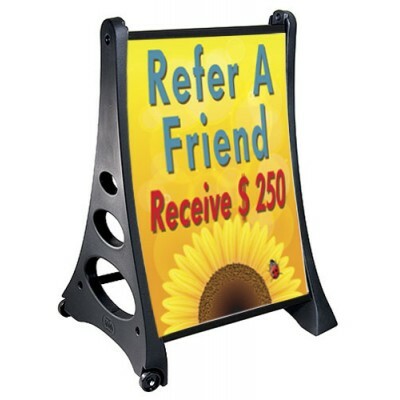 As with all of our products, you can customize the banners, boots and boulevards as you wish. 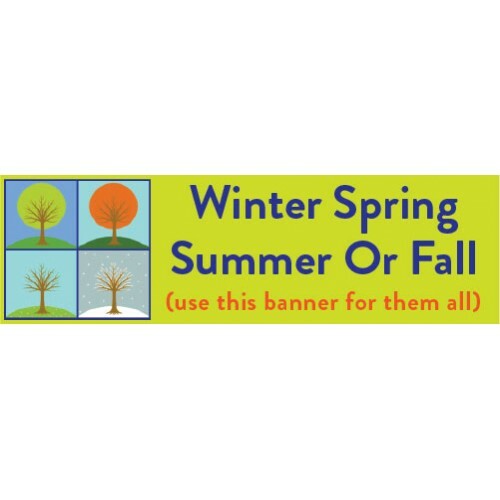 The beautiful Seasons Change banner is digital print on strong 10 ounce banner fabric. Customize wit.. 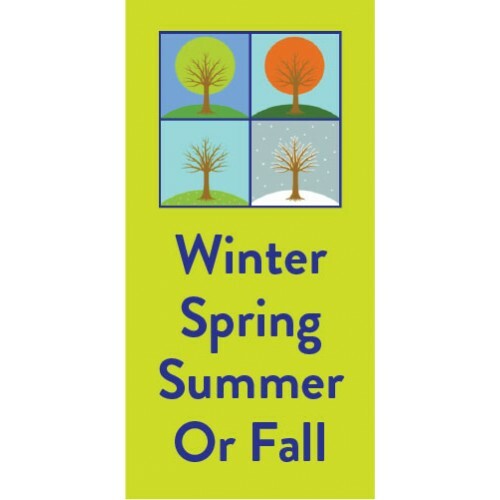 Season Change Pole Banner is beautiful lining a street. 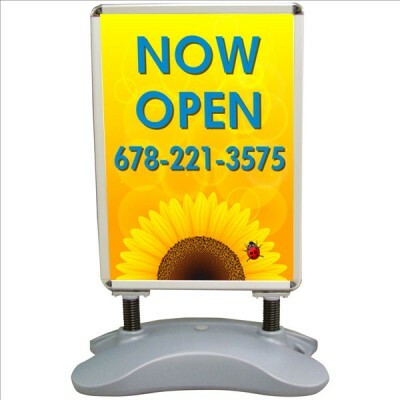 Great for city and town ev.. 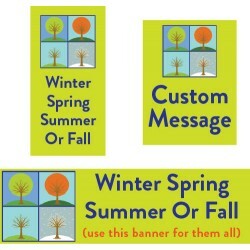 The Seasons Change bootleg signs are 18" wide by 24" tall and ready for your custom message. Choose ..